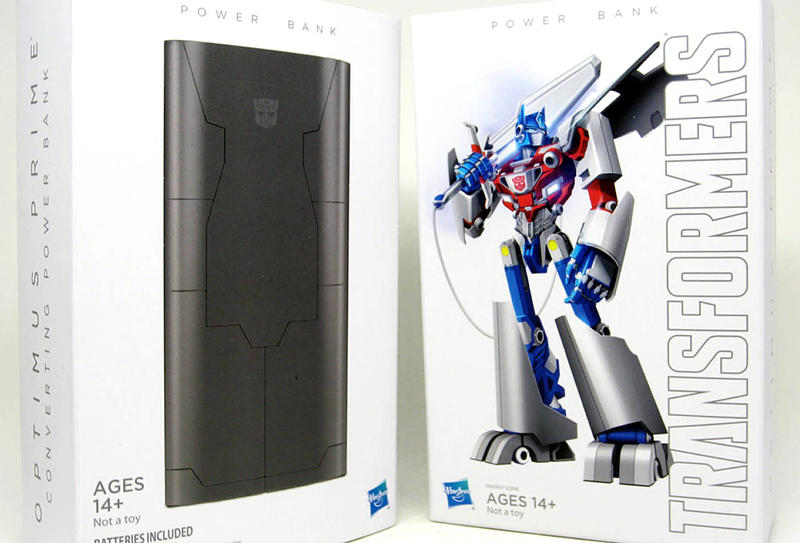 Transformers Optimus Prime power bank was a HASCON 2017 exclusive. 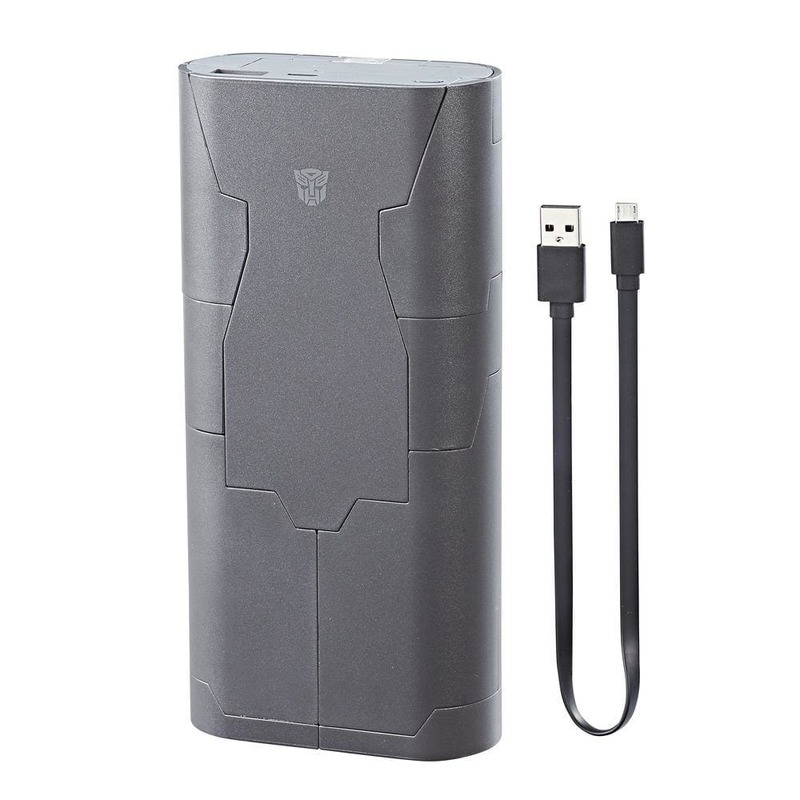 Not only does the battery pack transform into Autobots’ fearless leader Optimus Prime, it actually works as a portable power source for your mobile devices. 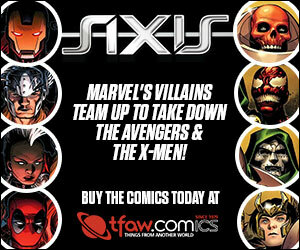 Way cool! 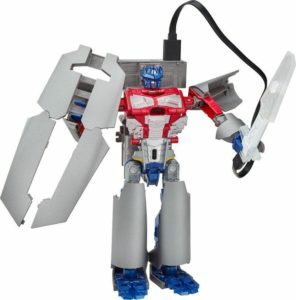 Full power is the right of all sentient beings. 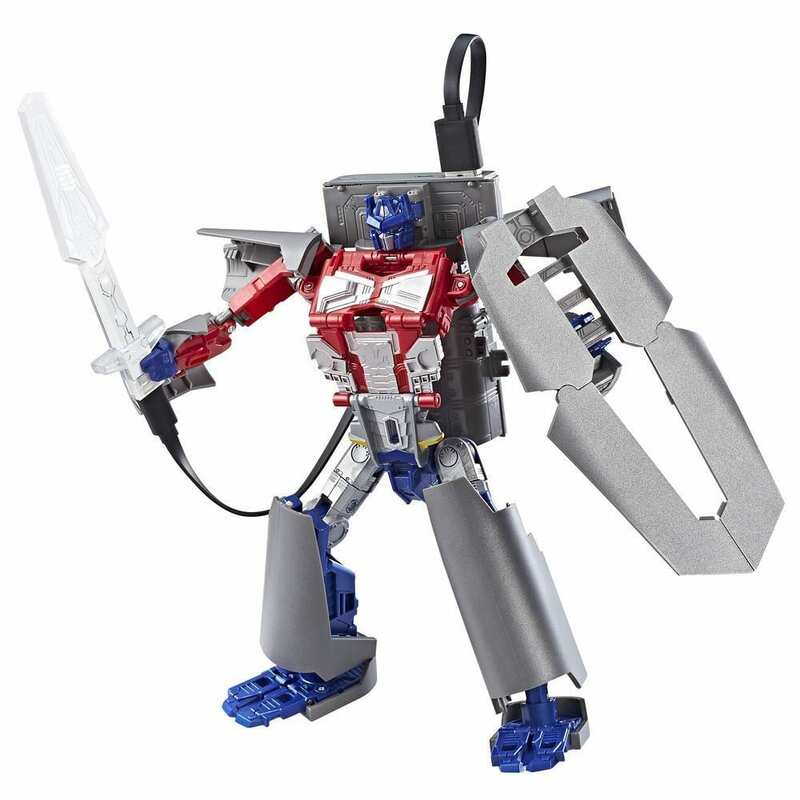 And Optimus Prime is here to lead the charge. 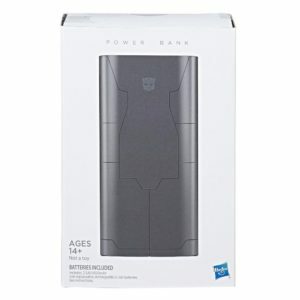 This special edition Optimus Prime Converting Power Bank figure converts into a device charger with 6500mAh of battery power that works with most devices. The figure comes with a Micro USB/USB cable for charging and a cool blue LED Energon sword that lights up when plugged into the figure. 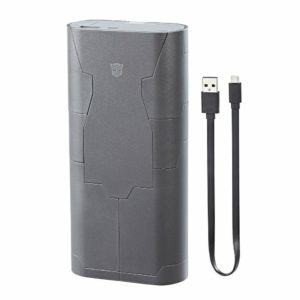 Converts from robot to battery pack charger mode in 16 steps. Fate rarely calls upon us at the time of our choosing. 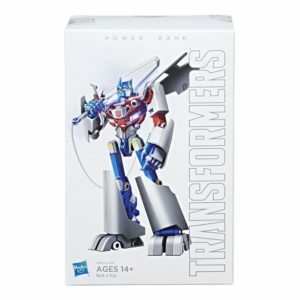 When it does, be ready and powered up with the spark of a Prime! • Includes Optimus Prime Converting Power Bank figure, LED Energon sword accessory, USB-A/micro USB charging cable, mobile phone stand, and instructions.